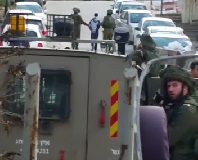 Since early this morning, Israeli forces have been surrounding the village of Silwan, creating fear among the villagers that a Palestinian family will be evicted. A new wave of unrest has overcome Silwan in the past few days, with two houses demolished on Christmas day, and clashes sweeping through the village on Friday after a young Palestinian was shot with a rubber bullet. The Silwan Information Center claims to have received exclusive information that an Israeli court has approved the eviction of a Palestinian family, in order to resettle the soon-to-be evicted settlers of the Beit Yonatan Settlement. Israeli courts have ordered that the Beit Yonatan settlement be evicted, so authorities are attempting to take over the Abu Nab on the grounds that it was once the site of a Yemenite Synagogue. This controversial eviction was planned to take place today, the 26th, while the international community is preoccupied with the holidays. However, Jerusalem Police issued a statement last claiming that the eviction would not take place today, with no further information about when it would happen. While Yemenite pilgrims did for a time inhabit the Baten al-Hawa district of Silwan, the were only relegated to the area after being rejected by the jewish people living in the Old City. After a short time they left to resettle elsewhere. In what is becoming an argument increasingly employed by Israeli expansionists in Jerusalem however, land that was ever owned or inhabited by Jews in the past must become property of modern-day Jewish owners. 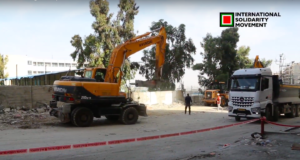 Similar arguments have been employed throughout the complex legal battles that have taken place in Sheikh Jarrah for several decades now. While Israeli authorities may attempt to find legal loopholes allowing a Jewish “right of return” to historical lands, a decisive law the ensures just the opposite has existed for Palestinians for some 60 years: the notorious Absentee Property Law. 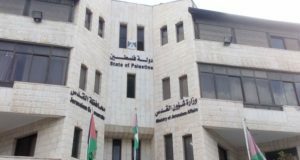 The Law has enabled the Israeli state to become “custodian of absentee properties”, that is, all land abandoned by Palestinian land-owners during the Nakba in 1948, when the creation of the Israeli state forced some 900,000 Palestinians to flee their homes and land, the vast majority of which had been in their families for centuries.